Bollywood and Goa are made for each other. The song, “Hum Bane Tum Bane, Ek Duuje Ke Liye” from the film Ek Duuje Ke Liye aptly displays the love affair that Bollywood has with Goa. Now, when you speak of Goa, the first things that come to your mind are the magnificent beaches, the churches, and the famous Kaju Feni. Any trip to Goa without experiencing all these things is an unfulfilled mission. Coming to the Bollywood and Goa romance, here are five of the most picturesque locations in Goa that Bollywood loves to frequent. Calangute Beach is one of the most popular beaches in North Goa. Thousands of tourists, both domestic and international visit this beach every year. The peak season is the week between Christmas and the New Year. The summer months of April and May are also the right time to frolic on the sands of the Calangute Beach. This beach brings back memories of the Shahrukh Khan and Suchitra Krishnamurthy starrer Kabhi Haan Kabhi Naa starring Shahrukh Khan and Suchitra Krishnamurthy. This film itself has a Goan storyline. The song “Anna Mere Pyaar ko na tum Jhoota Samjho Jana” was shot extensively on this beautiful beach. From the romantic Calangute Beach, we now move on to the Saligao Church, one of the most beautiful churches in Goa. Travel from Panjim to Calangute at night, and you will see this church glimmering in the dark like a shimmering jewel in the fields. 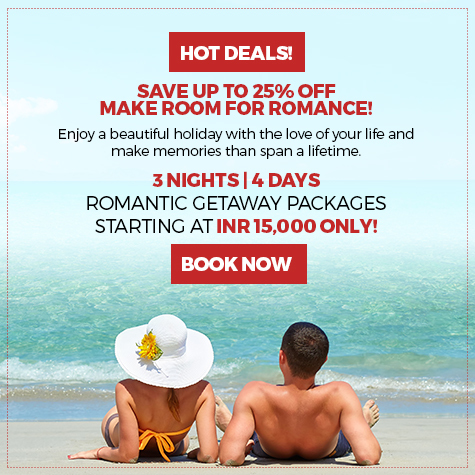 It is one of the most enchanting sights you will ever enjoy on your Goan trip. This church is featured prominently in the film Dil Chahta Hai. The movie also captures the expanse and enigma of the Chapora Fort. Any visitor to Goa should not miss the Basilica of Bom Jesus. This church is a perfect example of Portuguese architecture. Located in Old Goa, this church is a favourite tourist spot for various reasons. The architecture is a marvel. It is one of the best examples of baroque architecture in India. Secondly, one can see the mortal remains of St Francis Xavier at this place. It is a UNESCO World Heritage site. How can Bollywood miss out on this location? Check out the film Rangeela. Goa is a land of beaches. There are hundreds of beaches strewn all over the place. The Fort Aguada Beach is one of the most picturesque beaches and a favourite Bollywood shooting location as well. The films that come to mind immediately are Dhoom and Golmaal. You can enjoy a fantastic view of a number of golden beaches from the ramparts of the fort. Another film shot extensively in Goa is Khamoshi, the musical thriller. Some of the scenes featuring Anjuna Beach have been shot aesthetically. The scene where the deaf and dumb Nana Patekar happily runs along the Anjuna beach on realizing that his new-born daughter can hear still gives goosebumps when you watch it. Films apart, this beach is one of the most beautiful beaches in Goa. Bollywood and Goa have a solid relationship. Hundreds of films have displayed the beauty of Goa on the silver screen. 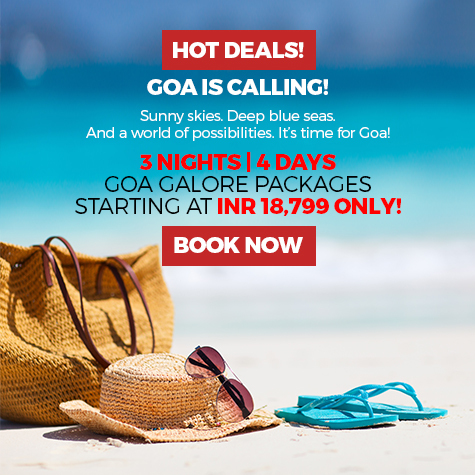 Yes, Goa is one of the places in India that gives you an “out-of-the-world” feeling. These places in Goa can leave an indelible imprint in your minds.